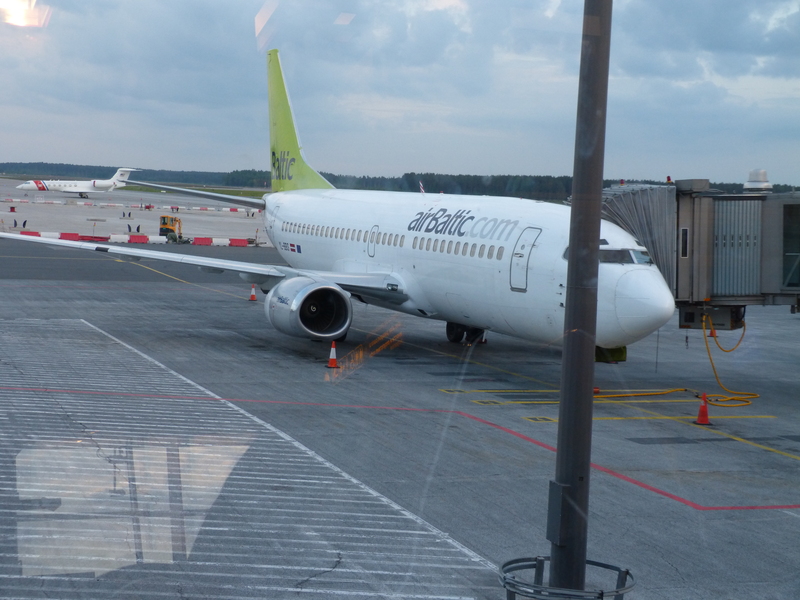 I had a day trip to Rīga last week. It’s another place I know well, but not as well as Vilnius. My first visit to the city was brief. It was July 1968. We got off a ship there, and were whisked to the airport by bus. From there Aeroflot took us to Moscow. Until last week, my last visit had been December 1998. A huge amount of renovation has taken place in the city centre since I was there last. It looks great. I enjoyed my wanderings, had a lovely lunch and dinner, plus all the travel went according to plan. 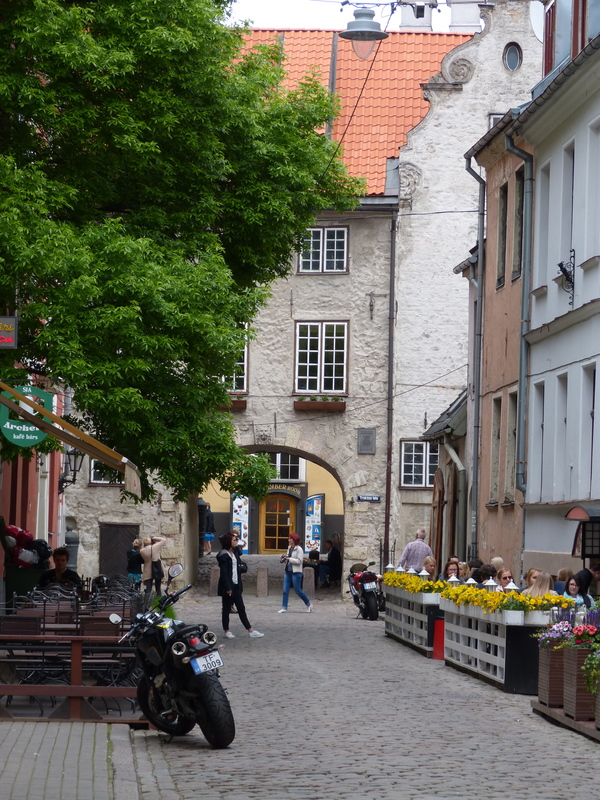 Like in Vilnius, I found memories around almost every corner. 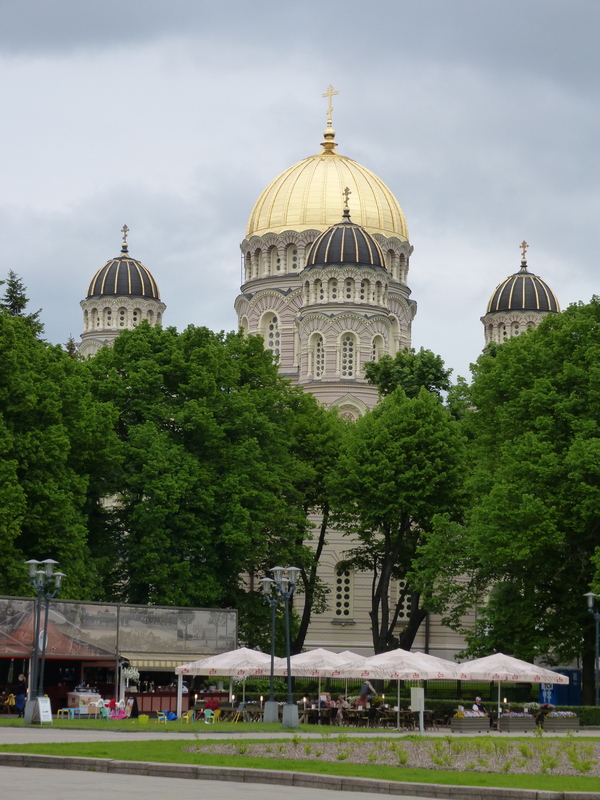 I arrived in Vecrīga (“Old Riga”) at midday and decided to have lunch before starting my sightseeing. I got a table on the terrace at Burger Corner on Tirgoņu iela. As I was admiring the building opposite, I realised the restaurant next to it seemed familiar but couldn’t remember why. When I was thinking about dinner later on it started to come back to me – I thought – so I decided to check it out. 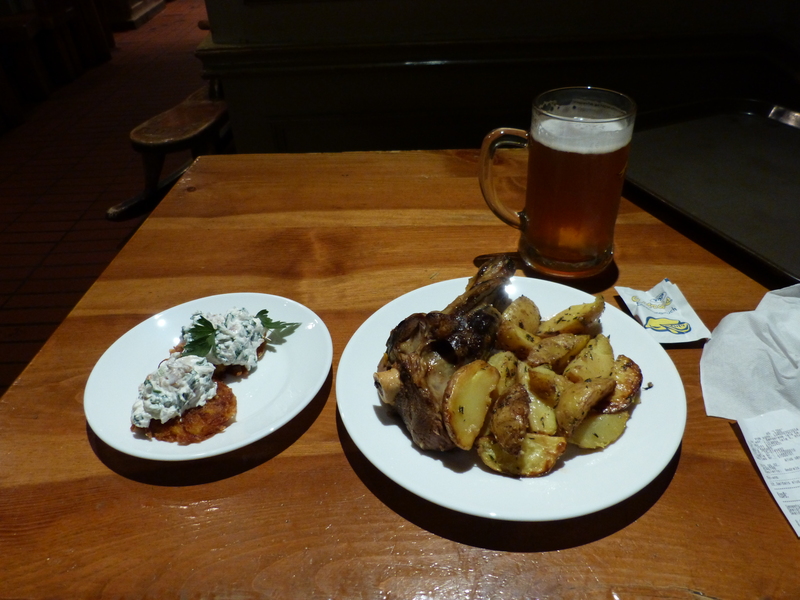 As soon as I went in I recognised it as a place where I’d had lunch 18 years previously – Alus sēta. I was with a colleague, and we were waiting for a late afternoon flight back to Scotland via Copenhagen. It had started snowing mid-morning and by lunchtime we had begun to fret about our flight. We decided to go out for lunch to distract us a bit. 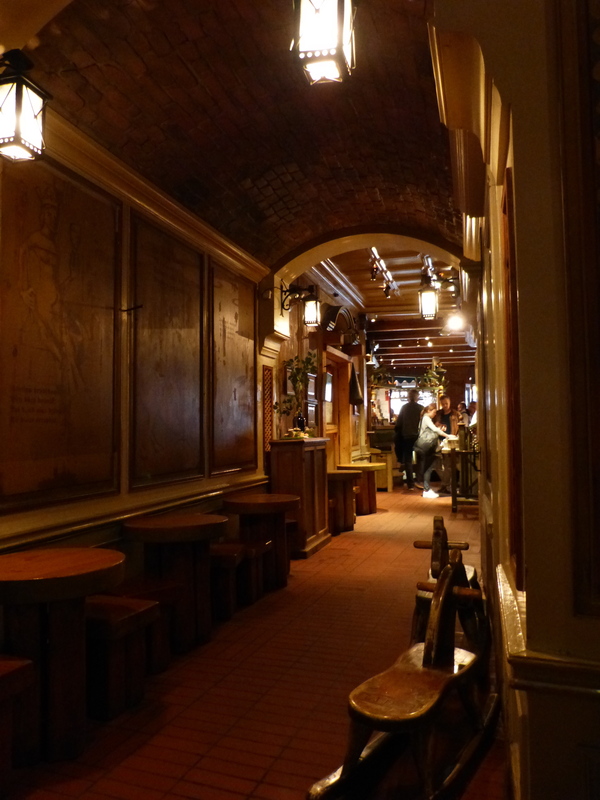 Alus sēta was such a warm, welcoming, cosy place on such a cold, snowy day. We had a great lunch and I can still remember the carrot salad and the beetroot salad. As it turned out the snow stopped in time for the runways to be cleared well before our flight, so all turned out well. So did my dinner last week. Delicious. 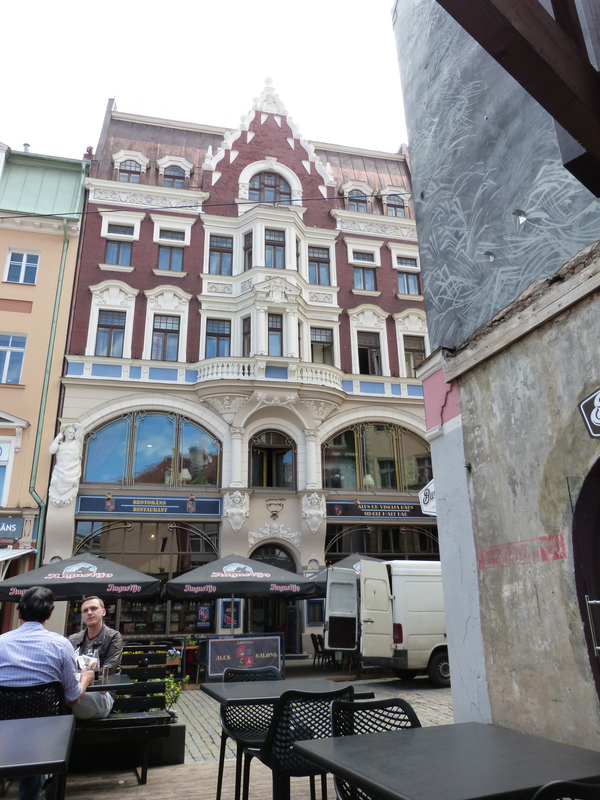 This entry was posted in Uncategorized and tagged beer, Riga. Bookmark the permalink.